Another Planet Entertainment, Superfly, and Starr Hill Presents are thrilled to share the single day lineups for Outside Lands’ 10th anniversary, which finds Friday night being headlined by Gorillaz and A Tribe Called Quest, Saturday by hometown heroes Metallica as well as Queens of the Stone Age, and bringing the festival to a close on Sunday night will be The Who and Lorde. Additionally, festival patrons will be able to purchase Single Day GA and VIP tickets to Outside Lands starting this Thursday, June 8 at 10 AM PT. Outside Lands is offering an unparalleled experience that you won’t want to miss. Not only is Outside Lands the largest independently owned music-festival in the country, it has earned the right to boast of six consecutive sellouts. Now, the festival’s organizers are happy to share that beginning this Thursday, June 8th at 10 AM PT, single-day GA & VIP tickets to the festival will go on sale for those wanting to attend the festival on just Friday, Saturday or Sunday. View the single day lineups for the festival below. Since its inception, Outside Lands has evolved into a beloved San Francisco tradition and boon for the Bay Area, as thousands of fans from around the world flood the iconic city for an incomparable weekend in one of the world’s greatest green spaces. As part of the festival’s ongoing commitment to the local community, Outside Lands has contributed nearly $17 million to the San Francisco Recreation & Park Department. Additionally, the festival generates over $70 million annually for San Francisco’s economy and employs over 4,850 people each year. As one of the world’s most sustainable large scale events, Outside Lands diverts more waste than any other festival of its size. In 2016, an astonishing 91% of the festival’s waste was reused, recycled or composted. Outside Lands highlights the city and its environs by putting special emphasis on the food, wine, art and culture that make the Bay Area so unique. For the 2017 festival, fans will have access to 78 Bay Area restaurants, 40+ Northern California wineries, 28 West coast breweries, and a collection of the region’s best cocktail bars. Both GastroMagic, a fan favorite stage devoted entirely to the synergy between culinary and performance art and The Barbary, a variety tent named for San Francisco’s notorious Barbary Coast featuring top names in comedy, podcasts, music, improv and general weirdness will also return to the festival. 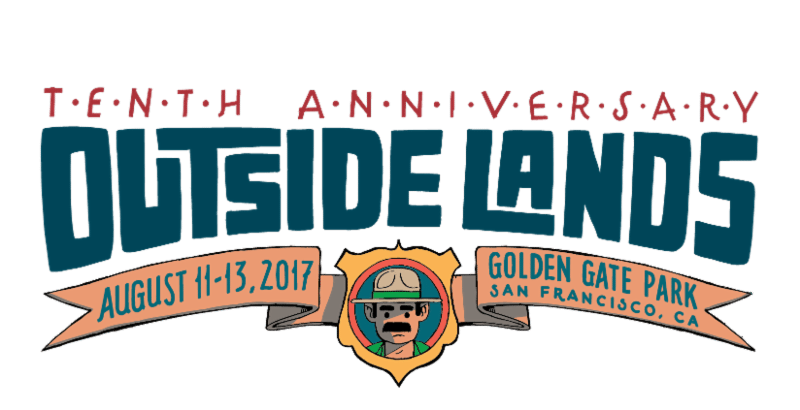 Outside Lands is simultaneously a true destination festival and a celebration of the region’s best. You won’t want to miss it.